Social media is fast becoming an asset to job-seeking business professionals in a variety of ways. Employers are increasingly turning to social media to advertise job openings and seek out qualified applicants, and social media profiles enable business professionals to network. However, an unprofessional social media profile can result in a worker being fired or a job applicant being rejected. A recent survey showed that 45 percent of employers research job applicants online, including looking at social media profiles. According to the employers surveyed, the top three reasons for looking at applicants’ social media profiles was to gauge their level of professionalism in social situations, assess whether or not the applicant fit into the company culture and to evaluate the applicant’s qualifications. One in three of those employers reported disqualifying a job applicant solely based on negative content that was found on that applicant’s social media profile. Whether job seekers like it or not, social media can and does say a lot about a person both professionally and personally. So, just as it is important to update a resume before a job search, cleaning up social media profiles is a must to successfully land interviews. The best starting point is to adjust the privacy settings on each social media profile. However, it’s important to strike the right balance of censoring certain information while keeping other information accessible. Make sure employers can see relevant information like previous work experience, professional affiliations and education. On the other hand, keep things like photos albums private. The next step takes more time, but it is vital to a job search or even to keeping a current job. Evaluate social media profiles through the lens of an employer. Delete any posts that can be viewed as controversial and remove any negative remarks made about current or former employers and co-workers. Also, check the content of what you like, follow or share. This reflects your interests, so make sure it aligns with a professional image. It is also important to put the finishing touches on your social media profile by choosing a clear profile picture that projects a professional image. Along the same lines, make sure all user names are professional and not offensive in any way. To keep all profiles ready for the scrutiny of employers, adjust settings to prevent others from posting to your profile or tagging you in inappropriate pictures. Following each of these steps is a sure way to create a presentable profile capable of impressing potential employers. However, don’t stop at popular social media sites like Twitter and Facebook. Remember to review the content of any other site you contribute to such as YouTube and Reddit. 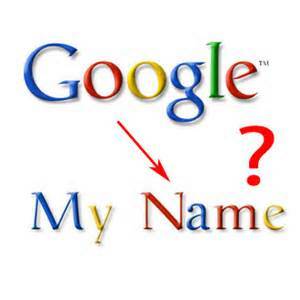 The best way to double check you have cleaned up all social media sites is to Google your name. NameChk is another great resource for finding past social media profiles you may have forgotten. Along with cleaning up social media profiles, like or follow companies you are interested in working for. This not only shows you have interest in the company, it also allows you to see job announcements, often before they are posted elsewhere. Above all, only post factual information about your job history and skills on your social media profile, as these may be checked against your resume. Remember, it is ALWAYS best to error on the side of caution! 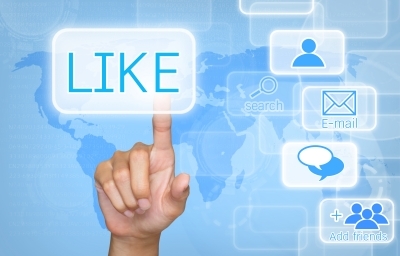 Take some time to give your social media profiles a deep scrub. It could be the deciding factor in that job you really have your heart set on! Thanks Bishop. Amazing statistic, right? People need to wake up and get with reality. What you do on social media WILL affect that job or client you’re trying to get. Very informative, thank you for this post. As I jump into the real world and cross over from having just a “job” and into having a career I should be more aware of the content that I am posting on my social media accounts so that I don’t hinder any potential opportunities that may come my way. Thank you for reading, Andrea! Glad you found this post useful. That’s why we’re here! Previous PostFrom Resident to Tourist: Negril DREAM WEEKEND 2015 DESTINATION!!! !